Modulating training frequency is an effective strategy to manipulate volume loads. There appears to be a benefit to higher training frequencies, at least over short-term training protocols. 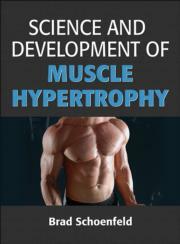 Thus, total-body routines represent an attractive option for maximizing training frequency for each muscle group. Hypertrophy can be achieved in all loading zones. Low-load training emphasizes metabolic stress and promotes the greatest increases in local muscular endurance, whereas low-repetition, high-load training requires high mechanical tension and enhances the ability to lift heavier loads as a result of greater neural adaptations.